Happy Friday! Can y'all believe Christmas is less than two weeks away? Where has this year gone? Crazy. Christmas parties are in full swing here in ATL and much like last week's Fashion Friday post, this outfit is perfect for any party. Here's wishing you a very merry weekend full of the Christmas spirit! Cheers to the holiday season and lots of parties! Speaking of parties, make sure you sparkle and shine at all times this holiday season. Hop on over to JoJo Loves You for the prettiest bling you ever did see. They are having a great, big 'ole sale this weekend and you don't want to miss it! 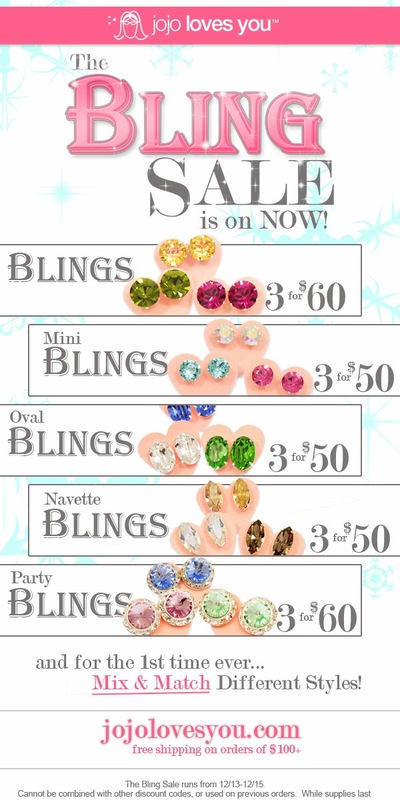 Pick up some bling for that special lady (think: stocking stuffer) and treat yourself too...you deserve it! See details on the sale below and check them out on Facebook and Twitter while you're at it. The sale ends on Sunday so hurry, ladies! Cute outfit! Love the dress. Gosh that dress is just too pretty!! Love it.